Laser cheque printing offers consumers a secure and efficient alternative to hand-writing cheques. By swapping your pen for printer, you can save time and money spent on manual cheque writing. All you need is laser-cheque software and paper, and a compatible printer. With these three tools in hand, the opportunities are endless. Software features allow users to customize the appearance of their cheques, use automatic cheque signing and print multiple cheques per page. Further customize your cheques’ appearance with paper that can be purchased in a variety of background colours and layouts. Opting for this modern process doesn’t mean sacrificing security, either. Laser cheques have numerous safeguards against fraud, such as security features in the paper of secure blank cheques and passwords and security keys in the software. Whether you run a business that regularly issues a large number of cheques or are simply looking to streamline your financial transactions, look to laser as a viable option. The tried, tested and true form of hand-writing cheques is still a common occurrence centuries after it began – and it’s easy to see why. Manual cheques are a preferred option for many due to their convenience and reliability. Having a cheque book on hand means cheques can be written and issued on the spot, no matter the location. There’s also minimal learning required to manage manual cheques, whereas the digital alternative may be overwhelming to people who are unfamiliar with computers and intimidated by new technology. And for those who don’t issue cheques very often, this standard method might make the most sense economically. If you only write cheques for certain bill payments, you may find there’s no need for a faster alternative. Additionally, there’s something to be said for a hand-written cheque that is given as a gift. There is nothing more personal than one’s own writing, whether in the form of a barely legible scrawl or a beautiful, flowing calligraphy. Those who use cheques most often for personal use may find this is a special touch best captured with the manual chequing method. Looking to put your laser-cheque printer to use? Blank cheque paper is just one varietal you can load it with. And it looks exactly as it sounds – a completely empty slate that allows the user full customization privileges with typeface, logos and overall design. Blank cheques can usually be purchased with or without the hologram foil security feature, as well as in a variety of background colours. If you aren’t looking to design your cheques from scratch on your own, requesting custom cheques is a great option. 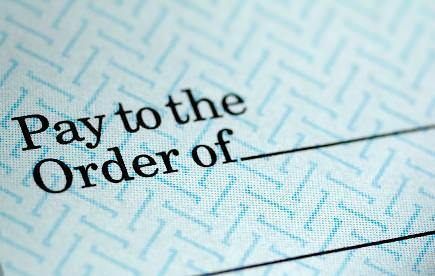 Usually offered in the laser and manual varieties, custom cheques can be personalized to suit one’s needs and desires. Specify your cheques’ colour, logos and layout to create an appearance that is all your own. While one-per-page cheques are a convenient small size for easy transport, a slightly larger option may be better suited for keeping at home or in the office. Having two cheques printed on each page gives cheque books a somewhat bigger, more square-like shape that some find preferable. Purchasing cheques with a hologram foil means you are choosing to include one of the most important security features cheques have to offer. While small and unobtrusive, the reflective marker found on the bottom of most cheques is a protective barrier between your sensitive financial information and cheque fraud. Not only is it a deterrent from counterfeiting, but the foil adds professionalism and credibility to cheques you order, typically at no extra cost. One-Write cheques are just one of the products used with a One-Write system, an accounting tool that eliminates the need to recopy data by collecting it at the time a transaction occurs. By purchasing one-write cheques, you can continue to use your One-Write system and increase business efficiency. As banking needs continue to evolve in the 21st century, so do related products and services. Never before has cheque writing been so customizable and capable of accommodating individual requirements. Before choosing which cheque to purchase, first identify what your needs are. Do you run a business that is wasting time and money on manual cheque writing? Are you an individual consumer looking to swap your dull, old cheques for ones with a little more colour and character? It’s never too late to make a change or try something new. Explore the many offerings in the cheque realm and make the purchase your financial system has been crying out for.